So many ways to meditate so little time. Many of my friends and clients ask me, “How do you meditate?” or they say, “I can’t meditate” or “I’m not good at meditating”. I believe these comments point to a desire to feel more grounded, less anxious and to decrease feelings of overwhelm. The practice of mindfulness can be a wonderful gateway to meditation and finding that calm which comes with daily practice. Let’s clear a few things up first. There are many doctrines out there and 100 times more opinions about meditation. All are valid and most are helpful. I am going to share my personal insights on meditation which is strongly influenced by my time spent with chi gong grandmaster Le Tian Chen at the Tian Gong International Foundation. Meditation should be simple. There is no elusive mystery. You don’t need to climb the tallest mountain into a cave of silence, fast for 30 days to achieve a quiet mind. “Meditation, focus, and concentration are too strong of words” grandmaster Le Tian would say, “instead, lightly think about…” Over my years of studying chi gong I’ve come to my own understanding of what it is to meditate. 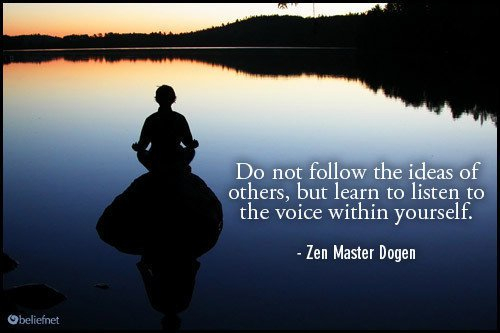 When I put myself in the position of a novice trying to meditate, I imagine sitting in a room, frustrated, I can’t get my mind to SHUT THE HECK UP! Echoing some of the comments I receive from my constituents. There is no translation for “meditation” from Mandarin that sufficiently describes the Chinese version of meditation. Chi gong for instance, means “energy practice.” Well for a Westerner, that doesn’t tell us a whole lot. But for a chi gong practitioner, it’s all we need. “Meditation is too strong of a word,” meaning, if I set out to meditate, there is a connotation that it takes actual effort to do so. If one “tries” to meditate, one can become frustrated and give up. Meditation is an effortless practice when done correctly. And its value is without question. So how does one meditate without effort? If you want a great way to begin your personal exploration of mediation, here are some tips I give to all my clients who want a quieter mind. There’s a Buddhist mantra called Washing Dishes. A mantra is the most basic sense is something you repeat to yourself over and over, although many mantras are spiritual in essence. This simple mantra of Washing Dishes is applicable to virtually every area of life. This simple practice is one of the easiest ways to stay present. Normally, if you are washing dishes, or doing anything else for that matter, how often is your mind directly focused on the task at hand? Take driving. How many of us consciously think about our driving moment by moment by moment? Aren’t we thinking about tasks at work we will need to do when we arrive? Or if we shut off the appliances at home? Or that I forgot to pay the cable bill…or…or…or. When you are washing dishes, is there anything else that you could also be doing at that same moment? Of course not. You’re washing dishes. You can’t also be tending the garden! When one is present, all other thoughts, attachments and anxieties disappear. Thich Naht Hahn says: “While washing the dishes one should only be washing the dishes, which means that while washing the dishes one should be completely aware of the fact that one is washing the dishes. At first glance, that might seem a little silly. When doing massage, I am always “checking in” with my body, my mind and my breath. It’s very easy to start thinking about the day ahead or things on my to do list while giving a massage. I notice myself sometimes daydreaming about my plans for landscaping my yard or an upcoming class I’m teaching. I constantly bring myself back to the present placing my attention on the motion of the technique, relaxing my body, grounding my feet and legs, and making sure I’m breathing properly. Twenty years later, it’s still a diligent practice to stay present during the task at hand. Even now, writing this post at my computer, I get so focused on the writing and in a moment I notice my shoulders rolled forward, my back slumped and my breathing shallow. I notice my attention divided because I have multiple screens open. My legs are crossed and not firmly grounded on the floor. I begin to have anxious feelings and thoughts of everything else I want to accomplish tonight….and my nose itches. Placing my attention once again on my body, my posture, and my breathing, I am now back in the moment. Breathing fully, calm and at peace. And the next moment it’s gone. Which is why it’s called “practicing mindfulness”. There are 360 joints in the human body. Hinge joints like knees and elbow articulate to allow us to move. So do the ball joints of the hip. There are the fixed joints in the fontanels of the skull which are pretty much set in place. Thorax joints flex allowing your chest to expand when you breathe. Of course there’s the spine. Did you know even your throat and ears have joints? As a practitioner of Japanese Anma and Seitai I am trained to assist the body to align itself. When the body’s joints are not properly in place, it can result in physical stress and many times pain or discomfort. We’re told to get the front suspension of our vehicles aligned every 30,000 miles, but how often are we to check our own alignment? Imagine driving a car with bad alignment. The car begins to drift to one side if you take your hands off the wheel. Increasing speed, the steering wheel begins to shake and the dash rattles. Over time, the vibration will start to shake the car loose and cause wear and tear on the joints and the frame as well as diminish the life of the tires. Like cars, the human body is designed in a particular fashion to ensure proper performance. Once the alignment of the body’s frame is compromised, it leads to increased friction and resistance. It may mean you walk slower, take longer to get out of bed, have trouble opening that jar and wince in pain every time you bend to pick up the dropped keys. Say you sprain your ankle and one of the seven tarsal bones is jostled slightly out of place. 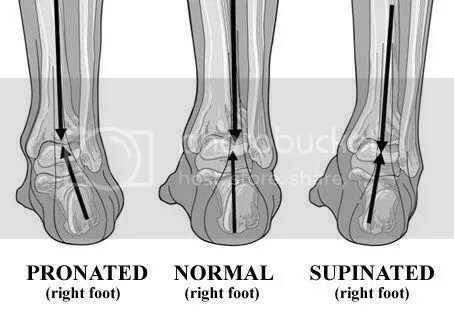 Uncorrected, it could lead to a pronated or supinated gait, leading to higher force impact when you walk. The chain reaction is precarious. Now that the ankle is compromised, the calf muscle is stretched creating tension in the knee and angling the body further. The hips work hard to balance the body, engaging the iliopsoas and piriformis muscles in the hips and pelvis. Erector spinae muscles of the back do their best to keep the spine straight and head upright, but over time the body succumbs to the stress and the entire system breaks down. Cervical spine, you could experience migraines, fatigue, allergies, and high blood pressure. Thoracic spine, you could experience breathing problems, numbness in the hands, and ulcers. Lumbar spine, you could experience increased menstrual pain and irritable bowel. Sacral joint, you could experience constipation, low back pain and numbness in the legs and feet. 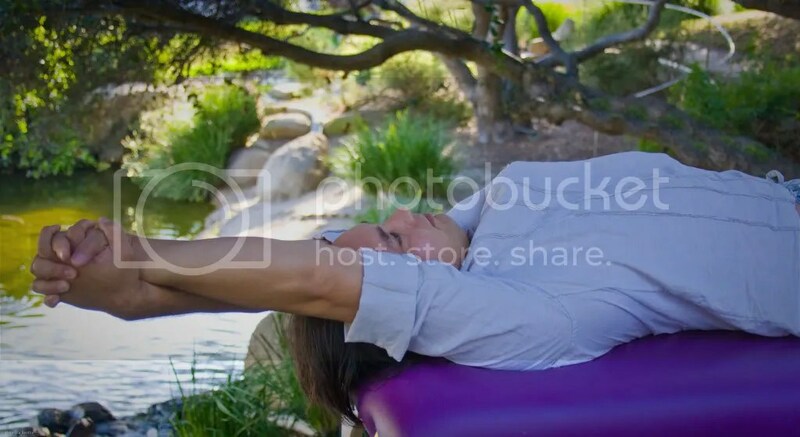 Yoga, thai chi, chiropractic, rolfing, the Alexander Technique, and the Japanese arts of Anma and Seitai, which I practice, are all effective at balancing the body. I recommend experimenting with each to see what your body responds to the best. And it may even be a combination you choose. Body ergonomics are also important. There are a myriad of health hazards you may not be aware of if you’re sitting at an office all day. Everything from organ damage and muscle degeneration to spinal issues and lack of blood flow to the brain. 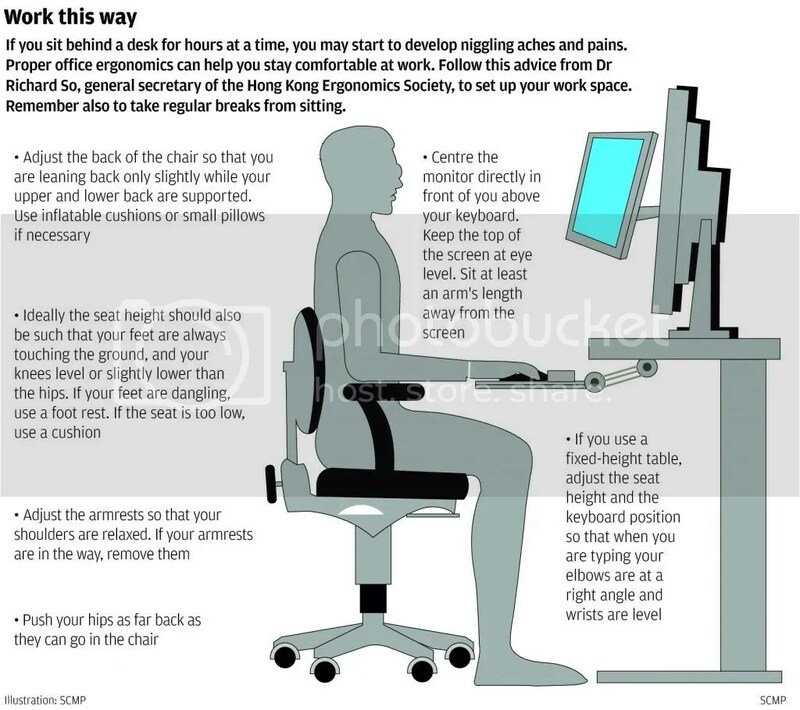 Invest some time and attention on proper ergonomics at work. Stand up every twenty minutes. A sit-down office job will increase your risks of heart disease and diabetes. Prolonged sitting with little or no movement causes physiological changes in your muscles. Fat begins to accumulate in your liver, heart and brain. Simply standing every twenty minutes greatly mitigates the disadvantages of a corporate career. Stand every time the phone rings. Stand when you are reading a memo. Stand during short meetings or when someone comes to your desk. This pose is a foundation of yoga. Mountain pose, or Tadasana, trains our body how to stand. Consistently bringing yourself into a relaxed stance can and will, over time, re-teach your body proper posture. After a massage, I teach Mountain Pose to all of my clients. I instruct them to bring themselves into mountain pose several times throughout the day to strengthen the relaxing effects of the massage they just had. Practice mountain pose after driving. Driving engages your shoulder, hip, arm, leg, and back muscles. When your commute is 20-30 minutes, those muscle groups can be exhausted. Mountain pose brings your posture back to normal. Before reaching for the keys and purse, get out of the car and Tadasana for 2 minutes before heading into the office. Practice mountain pose while doing dishes or standing in line at the store. Tadasana each morning when you wake up. Stumbling to the bathroom when you’re half asleep…you know you’ll be off balance. Take a moment and center yourself before rushing off to your first cup of green tea. Miracle Balls that is. This handy dandy convenient pair of blue balls are one of the most economical and effective tools for dealing with joint pain and aligning the structure of the body which I’m so very fond of. Elaine Petrone has done a fantastic job transforming the way we structural practitioners help our clients. Gone are the days of used tennis balls. At under $20, the Miracle Balls Method is a must have for anyone with joint pain. All you have to do – Breathe. Elaine states, “the hardest thing for people to do is nothing.” Simply place the balls under strategic areas of the body, breathe and allow gravity to do the rest. The included book has a great program. I strongly encourage all my clients to purchase a pair. Here are some exercises I’ve developed to help my clients with upper and lower back issues. The piriformis muscles are key for hip release and relaxation. Sciatic nerve pain can be greatly reduced using this method. Set the Miracle Balls just below the sacrum in the fleshy pocket of the glutes. Lay back, legs resting on the ground, and breathe. Take advantage of this time and meditate for a few minutes. If you experience any pain, stop. For most people, 5-15 minutes is a good range of time. After a few minutes you will feel the hips sink and the lower back will relax flat onto the floor. This stretch has amazing benefits on several aspects of body wellness. By placing the balls in between the shoulder blades on either side of the spine, you’re able to relax the upper back, roll the shoulders back, and open up the rib cage. Place the balls together on the floor. Gently lay back onto the balls so they sit even on either side of the spine at the lower part of the shoulder blades. Similar to Eagle Pose, stretch your arms out in front of your chest with the backs of your hands facing each other. Cross your forearms and now palm-to-palm, interlace the fingers. Slowly allow your arms to drop over your head towards the floor. If your hands do not touch the floor, relax them down as far as it is comfortable to do so without pain. Breathe. After 1-3 minutes, switch hand position and repeat. The Sartorius muscle is the single longest muscle in the human body. It is partially responsible for hip rotation and knee flexion. When the sartorius muscle is inflamed or under stress, discomfort and pain can manifest in the femoral nerve affecting the knee, hips, and even the low back. You know that excruciating tickle spot just above the knee on the inner thigh your uncle used to torture you? That’s the sartorius. Lie on your side. Place one ball between your inner thighs close to your knee. This point may be a little sensitive. Place the second ball at the calf muscles to create balance and also release the Achilles. You will feel relief in the knees, hips, back, and feet. Incorporating even one of these simple practices into your daily life will greatly affect your posture’s proper alignment. I recommend getting checked regularly by a professional and taking steps now to maintain a strong, balanced body for longevity and vitality. If you would like a complimentary consultation on how to use The Miracle Ball Method for your specific needs, contact me today. 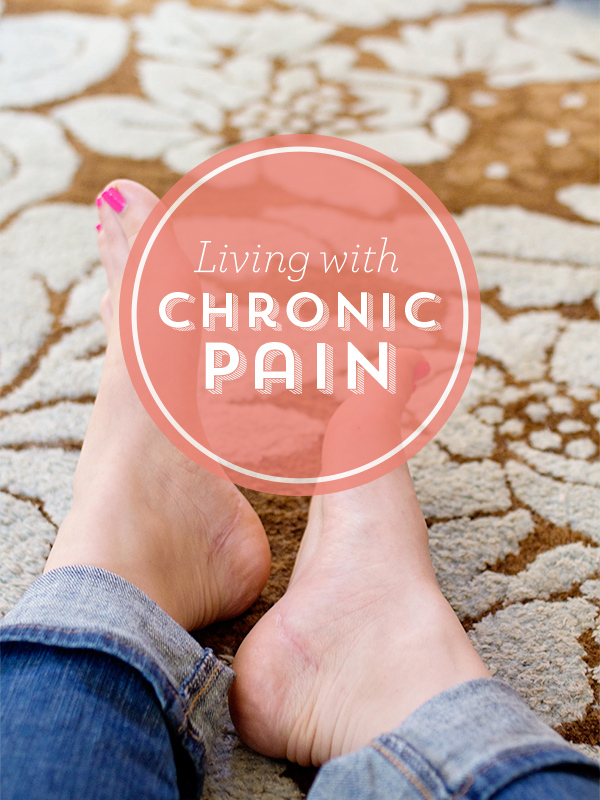 I’ve dealt with chronic pain for as long as I can remember. Some of the earliest memories of pain include getting my finger jammed underneath my bedroom door, getting a tooth yanked out, and the “wake up screaming, middle of the night” agonizing calf cramps. Waking up to a barrage of cries, my mother would come into my room and massage my calves for as long as her delirious semi-asleep state would allow her to. Fast forward through all the other childhood spills, crashes, drops, falls, collisions, tumbles, and over the handle bar flight attempts. I’m 13 years old in the 7th grade. It’s a sunny Arizona day and the boy’s locker room is filled with nurses and doctors checking everyone for scoliosis. With my daredevil lifestyle, would it surprise you that they found a 7 degree curvature in my spine? They call it a disease. Which, technically is accurate, but the connotation that this 7th grader made up was that I caught some kind of cancer of the spine. Like there was just something wrong with me and there was nothing I could do about it. Sure, the doctors got to label me as a boy with scoliosis, but did they offer any solution? That was the strange thing. There was no debriefing, no consultation, no health and wellness plan given. I was simply left with “You have a 7 degree scoliotic curvature, good luck.” The “good luck” was implied. I was left disparaged. Family stresses and ongoing, increasing pain in my back, legs, hips and joints dropped me into a depression which afflicted me for years. This anguished enlightenment led me on my journey to find my Vibrant Lifestyle. I began searching for answers on my own. The constant pain not only affected my mental health, it also affected my ability to concentrate. I did great in areas which moved fast, like math. When it came to English and reading, however, I was left wanting. It was agonizing knowing this pain was holding me back from my potential. I had to find a way out. One day after school I was browsing in the library and found The Book of Massage: The Complete Step-by-Step Guide to Eastern and Western Technique. Granted, part of the reason this hormone charged 15-year-old picked up the book was because of the half-naked photos, but once I got past that, I was hooked. There was a section in back on Self Shiatsu. I found that by pressing certain “acupoints” on my body, pain in that area would be temporarily relieved. I saw a light at the end of the tunnel. I thought, “What would the world be like if everyone on the planet got a massage every day? Could people lead happier lives? Would children get better grades in school?” Shiatsu offered new possibilities. I wanted to understand more. I started going to yoga and practicing massage on my friends. Teaching my family which points to press on me. Even though I was still in pain, I was excited. There was a way out, I thought. Also at 15. I had my first chiropractor appointment. I started seeing a chiropractor twice a week and regular visits became the norm for the next 20+ years, in addition to yoga, acupuncture, massage and a healthy eating plan to manage my pain. My new lifestyle was taking shape. My education in healing arts expanded as I read more books, went to classes and began choosing vocations. When I was 21, I got a job at Aveda in San Francisco. I was exposed to more massage techniques, aromatherapy, and even exercises in chi gong (even though I had no idea it was called that). Eventually in 1995, I made a choice. I was going to start a career in massage. I spent 6 months visiting schools, auditing classes, and interviewing teachers to no avail. Nothing I found excited me, nor was it sufficient for the level of care I wanted to provide. Finally, a pamphlet appeared on the table at SWIHA, a Scottsdale healing arts school. It read, “Anma, The Art of Japanese Massage,” and went on to describe a man with a rich 300 year family history in the art form. Shogo Mochizuki became my teacher for 4 years and my body never felt better. Can you imagine receiving massage 3-4 times a week for 4 years! It was amazing. 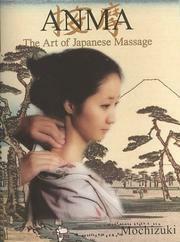 Everyone should be so fortunate to study Japanese massage with a master for 4 years. Since then, I’ve made it my mission to offer affordable Japanese massage and spread this education to the general public fulfilling on a dream I had at 15; that each and every person on the planet have access to amazing massage training. I began to learn about how the body works and more importantly how much we don’t know about how the body works. Clients now ask me all the time, “Why does this hurt? How did my body get this way? Can we fix it?” We all have our share of childhood spills, car accidents, sports and work injuries, and aches and pains. All these things have an impact on the body and can provide important information as to the root of our discomfort and ill health. I assert many of us never really give it any thought, I didn’t. At least not until I began understanding body structure; how the body is designed to fit and operate in a particular way. When that design is interrupted by an injury, for example, the body’s alignment goes wonky. “Wonky” is a technical term used in the industry to describe when the bones/joints/vertebrae are not in perfect alignment. More on this later. Over the years, I’ve developed a lifestyle of vibrancy, wellness and peace. It includes medidation and massage, nutrition and fitness, and a foundation of body and energy alignment. I’ve since dedicated my life to serving others in my practice as well as made it my personal mission to teach what I learn to as many people as I can.